Vintage Pear-Shaped Halo Engagement Ring | Shane Co.
Breathtaking vintage-inspired milgrain detailing is accented throughout the design of this platinum halo engagement ring. Fifty-six round diamonds, at approximately .30 carat total weight, sparkle and shine throughout the fabulous ring. 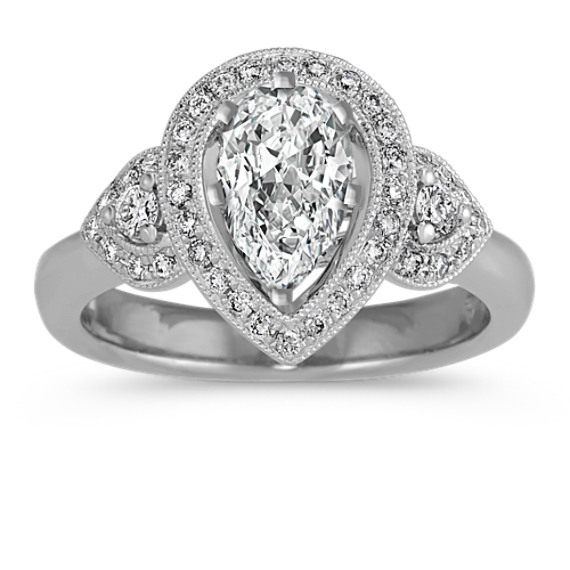 To complete this setting, add the 1.00 carat pear-shaped gemstone of your choice. The ring measures 3mm wide at the band and 13mm at the halo. In love with my ring ?? My fiancé asked me to marry him with this ring and I’m so in love ? ?